My submission to an Australian parliamentary committee examining the future of journalism proposes a new defence to give genuine public interest journalism a market advantage over fake news, celebrity gossip and other unethical infotainment products. The Australian Senate established the Select Committee on the Future of Public Interest Journalism – known as the ‘Public Interest Journalism Committee’- on May 10, 2017. The committee is inquiring into the future of public interest journalism. The closing date for submissions is June 15, although the committee’s site explains that late submissions will be considered. I hereby offer my personal submission to your committee’s important inquiry into the future of public interest journalism. My research and expertise includes media and social media law, ethics and regulation. 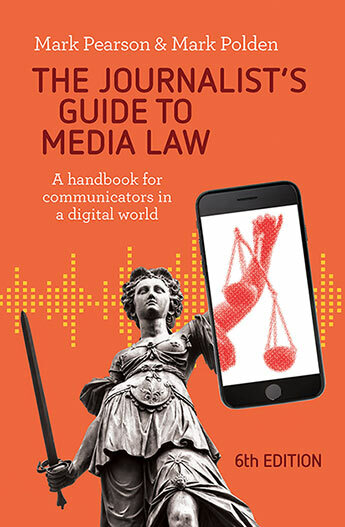 I am lead author of The Journalist’s Guide to Media Law[i], now in its fifth edition, and have been author or editor of numerous other books and scholarly articles and research projects intersecting with your broad terms of reference. My current position is as Professor of Journalism and Social Media at Griffith University as a member of both the Law Futures Centre and the Griffith Centre for Social and Cultural Research. However, this submission represents my own opinions and does not purport to represent the views of my university or of those research centres. While I have views on several aspects of your inquiry I will restrict this submission to a proposal to amend the media laws and regulations within the direct or indirect control of the Commonwealth Parliament which serve to shackle the enterprise of ‘public interest journalism’ in Australia and ineffectively distinguish it from ‘fake news’[ii] and other misleading, deceptive and sometimes harmful communication products. In summary, I propose that in light of the lack of constitutional protections for public interest journalism in Australia, the Commonwealth should build into every identified restriction on media freedom a “public interest journalism” defence, which would excuse a “legitimate and demonstrated public interest in freedom to communicate on this occasion”, where the court would take evidence on the importance of the matter of public concern, the publisher’s genuine track record of adherence to professional ethical standards, its resolve to remedy past breaches (if any), and its commitment to train their staff in legal and ethical issues. It should encourage other Australian jurisdictions to take a uniform approach. Free expression and a free media should be foundational principles in any democratic society, and the principle of open justice should be equally foundational to any country with respect for the rule of law. Each is enshrined in its own way in international human rights instruments. [iii] Almost all democratic nations other than Australia include a right to free expression or a free media in their Constitutions or ancillary documents. However, the closest Australia has to any such constitutional recognition is the High Court’s so-called implied freedom to communicate on matters of politics and government, which has evolved in a qualified fashion through a series of cases since the 1990s. [iv] The proof of the inadequacy of the principles of media freedom and open justice in Australia can be found in the exceptions to those liberties in a litany of laws across Australia’s nine jurisdictions which serve to impede attempts at public interest journalism. They are evident in both the common law and in legislation in areas including (but not limited to) defamation (despite purported uniformity), contempt, trespass, surveillance, confidentiality, privacy, source protection, court and tribunal suppressions and identification restrictions, along with a host of national security and anti-terror laws. This leaves public interest journalism battling this array of laws at State, Territory and Commonwealth levels limiting free expression and a free media because of competing rights and interests – often without free expression or a free media being acknowledged in the wording of certain statutes or in their interpretation in cases. The Senate must bear the responsibility for passing some of these laws and the various attorneys-general across jurisdictions and political affiliations must accept culpability for failing to work to ensure their uniformity. The Australian Consumer Law (detailed at Schedule 2 to the Competition and Consumer Act 2010), which offers a broad ‘media safe harbour’ (Section 19) to ‘information providers’ under the ‘misleading and deceptive conduct’ provisions (Section 18). While such limited exemptions offer some acknowledgement of the importance of public interest journalism, free expression and open justice, their wording is ad hoc and their application across jurisdictions is unpredictable. This is farcical in an era of global publication to 24/7 deadlines by a large variety of organisations and individuals engaged in public interest journalism in its multiple forms – many of whom might not even call themselves ‘journalists’ in a traditional sense of the term, but who might nevertheless be engaging in the practice[xii]. Some statutes offer blanket exemptions which in some ways encourage the creation and republication of fake news, celebrity gossip and click bait misinformation. The Australian Consumer Law is a prime example, where the ‘media safe harbour’ (Section 19) offered to ‘information providers’ under the ‘misleading and deceptive conduct’ provisions (Section 18) allows news organisations have a blanket, almost unchallengeable protection for misleading and deceptive conduct. I proposed to the Independent Media Inquiry in 2011 that there should be a rebuttable presumption that corporations publish responsible news and current affairs material of legitimate public interest in accordance with a journalism code of practice to earn this exemption[xiii]. A simple and effective measure to reduce this imposition on public interest journalism would be for the Senate to require all Commonwealth legislation imposing a demonstrable limitation upon the enterprise of public interest journalism to include a ‘public interest journalism’ exemption or defence. This would confer a discretion to a court to make an exception to the operation of the particular measure in instances where there may be a public interest in the communication of a matter of genuine public concern which at least balances, or perhaps outweighs, other rights and interests in the particular circumstances. The current exemptions within the control of the Commonwealth (privacy law, consumer law, shield laws, etc) would be simplified where possible to meet such a test. In some cases this would require those exempted under current legislation to do more to demonstrate they are worthy of such an exemption (under the Privacy Act s7B(4), for example, ‘media organisations’ are automatically exempted if they are ‘publicly committed’ to privacy standards published by themselves or their representative organization.) In other cases the existing laws should be broadened to the advantage of others who demonstrably engage in public interest journalism. (For example, academics, non-government organisations, journalism students and serious bloggers might then qualify for shield laws which at Commonwealth level are currently restricted to “journalists” being people “engaged and active in the publication of news”. 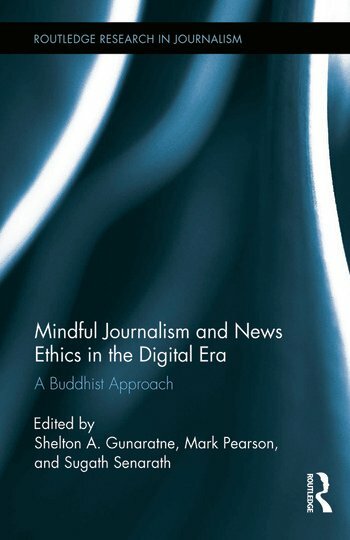 [xiv] This would attach the exemptions to those engaging in the enterprise of ‘public interest journalism’ instead of trying to define who might qualify as a ‘journalist’ in the modern era). Such other circumstances could include the legal and ethical track records of the individuals and organizations seeking the exemption and their demonstrable commitment to legal and ethical standards and training. If the Commonwealth takes the leadership in such a simplification of the approach to a ‘public interest journalism’ exemption, then I am confident it can impose its considerable weight upon the states and territories via the Law, Crime and Community Safety Council and the Council of Australian Governments to mirror this approach in their myriad of publishing restrictions. Such a measure would help foster a real backbone of encouragement of genuine public interest journalism – whether created by large traditional media, freelancers, activists or new media entrepreneurs – in the absence of a constitutional right to free expression and a free media enshrined in a Bill of Rights, which appears to be an unrealistic aspiration at this stage. It would also offer genuine public interest journalism a market advantage over fake news, celebrity gossip and other unethical infotainment products. I sincerely hope your committee is able to improve the standing of public interest journalism and wish you well in your deliberations. [i] Pearson, Mark and Mark Polden (2015). 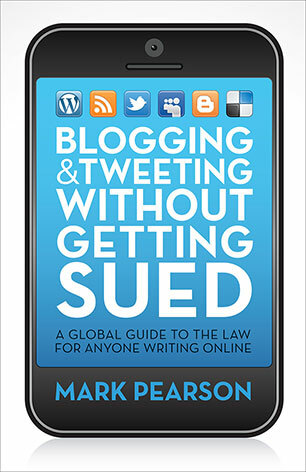 The Journalist’s Guide to Media Law. Allen & Unwin, Sydney. [ii] Please note that some parts of this submission are explained further in my recent article in the journal Asia Pacific Media Educator’. Pearson, Mark (2017) ‘Teaching media law in a post-truth context – strategies for enhancing learning about the legal risks of fake news and alternative facts’ Asia Pacific Media Educator, 27(1) 1–10. [iii] See, for example, Articles 11 and 19 of the Universal Declaration of Human Rights. 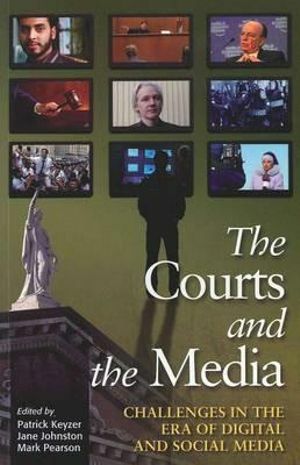 [iv] See: Australian Capital Television Pty Ltd v Commonwealth (1992) 177 CLR 106; Stephens v West Australian Newspapers Ltd (1994) 182 CLR 211, Lange v. Australian Broadcasting Corporation (1997) 189 CLR 520; Wotton v Qld  HCA 2. [v] McNicoll, D. D. (2006, 31 August). The diary. The Australian [Media section]. p. 18. [vi] Evidence Act 1995, s. 126K. [viii] Copyright Act 1968 ss40 and 103B. [ix] See Defamation Act NSW 2005 s. 30. [x] Pearson & Polden, op. cit., p. 147. [xii] See Slater v Blomfield  NZHC 2221, at paras 47-55. [xv] See Defamation Act NSW 2005 s. 30.